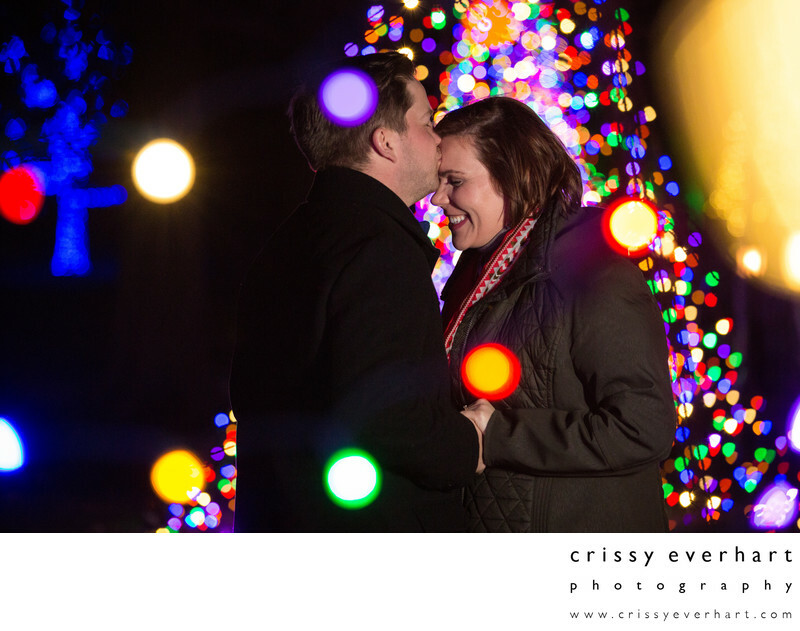 Nick proposed to Kaitie at Longwood Gardens during Christmas-time, so we were able to take advantage of all the colorful lights to make some exciting engagement photos! 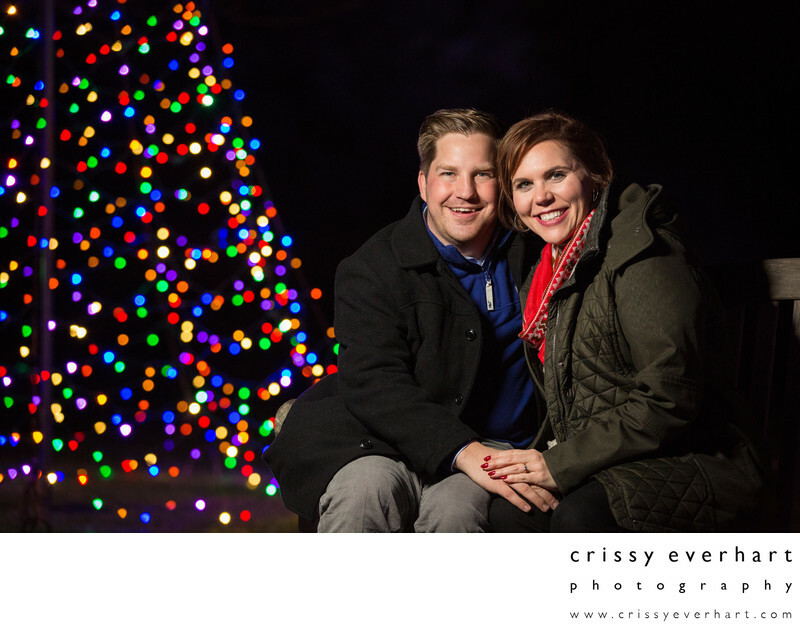 He popped the question in the conservatory, in front of family attending the Longwood Christmas with them. The family members all knew about the proposal, so only the bride was surprised! 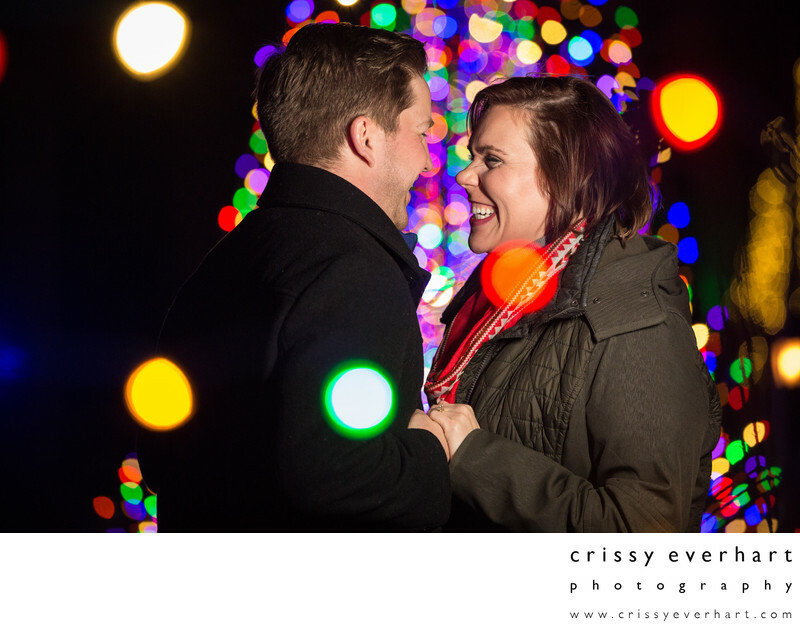 She said "yes" and we headed around the conservatory and outdoor christmas displays photographing in front of holiday displays, flowers, and string lights. We went back and forth on which is actually better, white or multi-colored lights; Nick chose white and Kaitie likes the colorful ones. 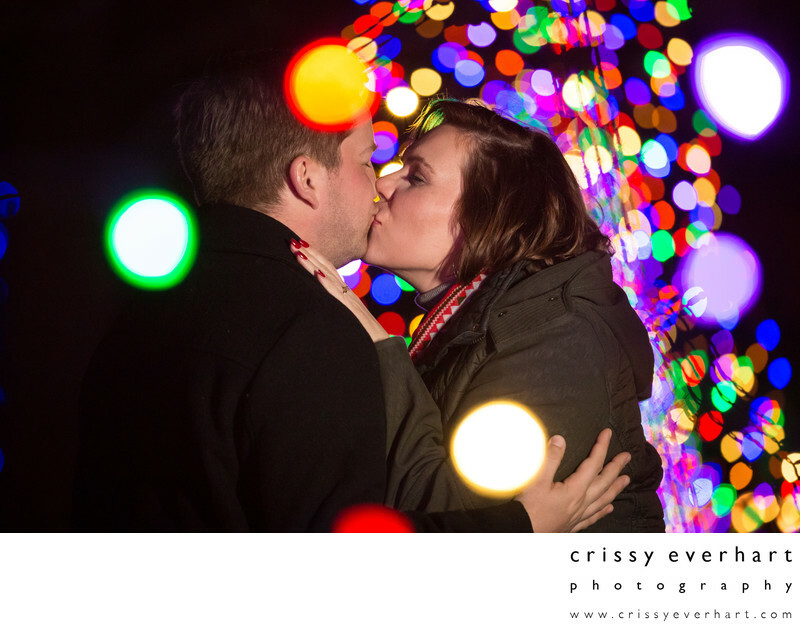 We took photos in front of both, but I think that I have to agree with Kaitie here - the colorful lights made much more fun photos! Location: 1001 Longwood Rd. Kennett Square, PA 19348.